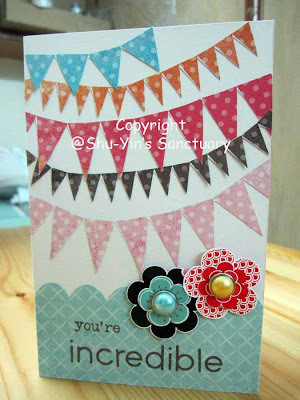 Ok, I admit that I am in a card-making-mania-mood recently. I was making cards almost every day whenever I could steal some time off. 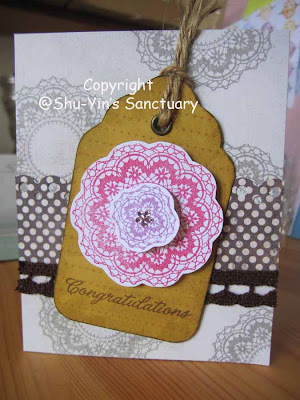 Making cards is so addictive. I just could not stop. 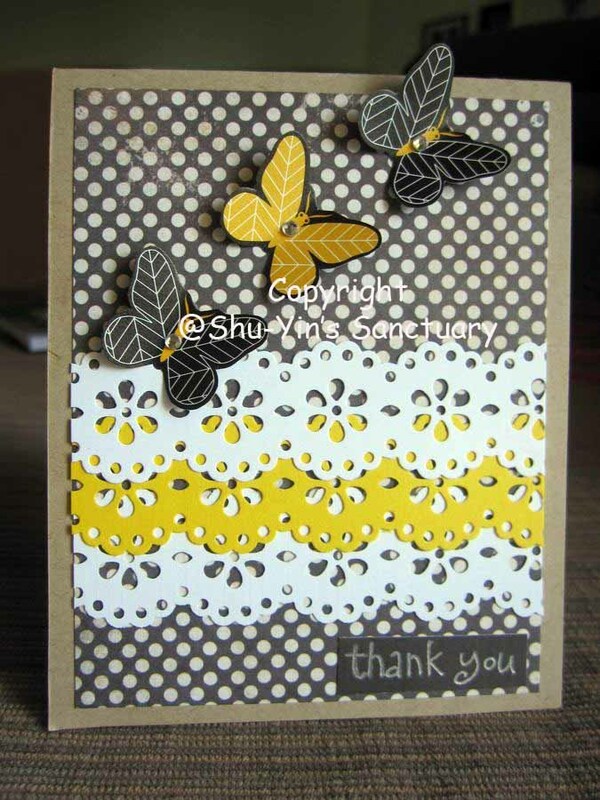 Seeing the end results after a card is done is so satisfying, almost as therapeutic as baking. 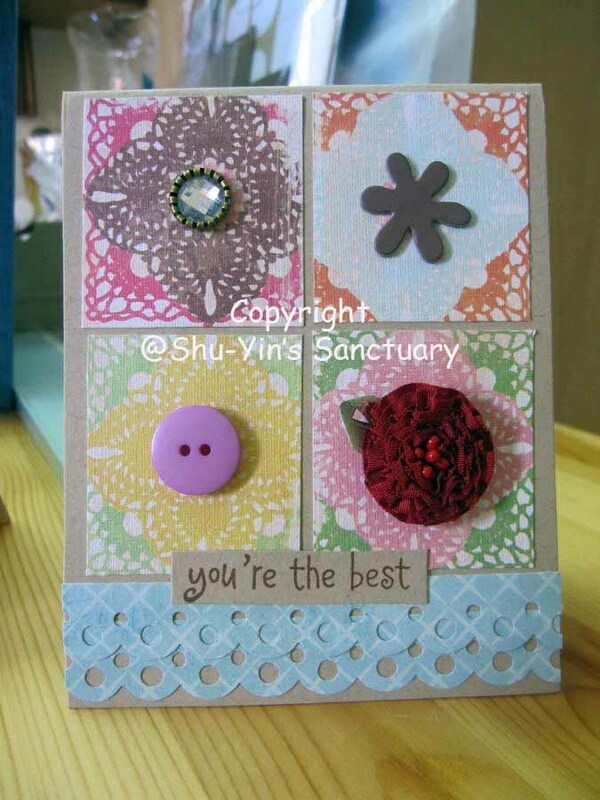 There was a day when I made 4 cards in one day. Even I couldn't believe it. 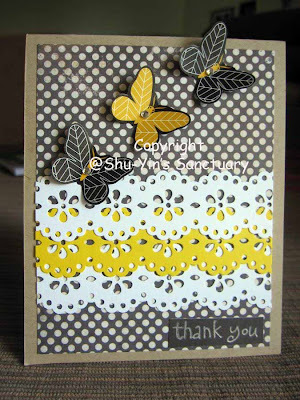 These are the 11th to the 20th card I've made thus far. 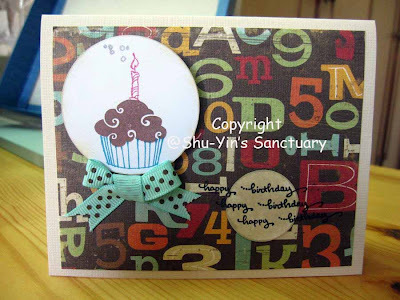 And yes, I spent a fortune on scrapbooking materials. 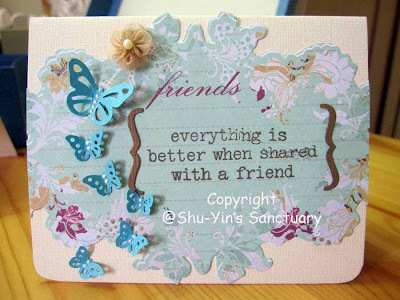 I have now set aside a budget to spent on scrapbooking besides my baking stuff. This is why having hobbies are bad. At least, hobbies that requires money are bad. They eat up all your cash and leaves a hole in your pocket! My sis asks me what am I going to do with these cards? She said bakes can be eaten. 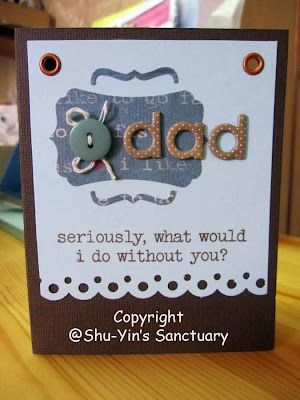 What about cards? Do I plan to give it to away? But maybe I will sell them. I don't know. Not sure if I can part with them (money is a big motivation though despite what I just said..haha). Not sure if there are people willing to buy them. And I am also lazy to always have to run to the post office whenever there is a sale. 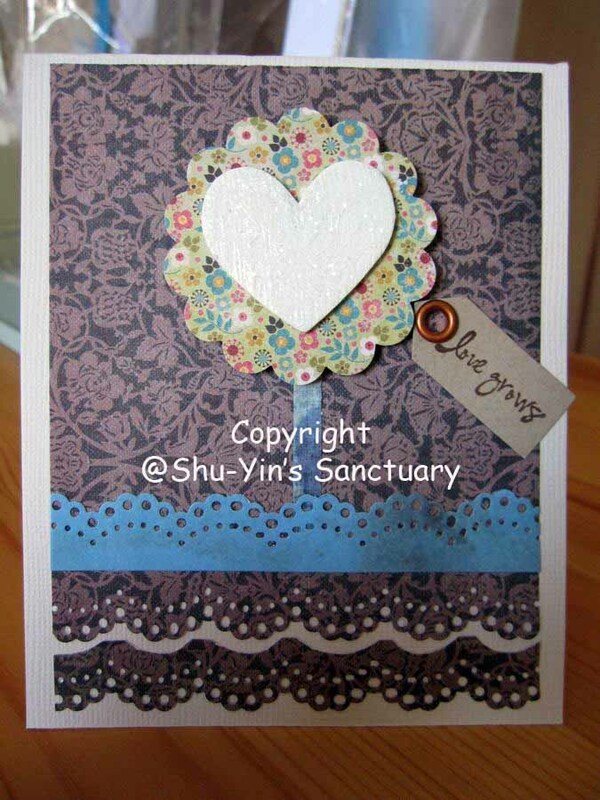 p/s - my 1st to 10th card can be found here. Hi Shu-Yin, just came across your blog. 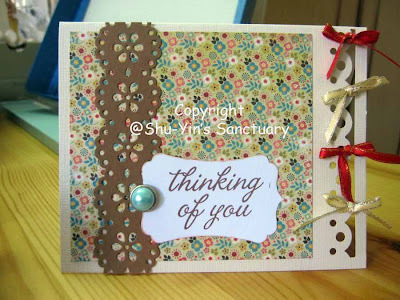 I like your cards and I like cardmakinng too :) I totally agree they're so addictive (and burn a hole in my pocket sometimes)! Thus, I'm also facing the situation where I don't know what to do with my cards. I guess the best way is like what you mentioned: give them to people for special events and put the rest on sale! Hope to see more and more of your awesome creations! Cheers! 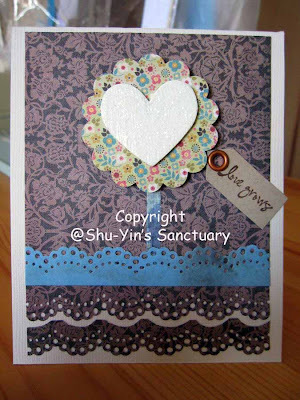 Hie Xing Ying, I'm still very new to card-making. This being my 2nd month only so my cards are rather immature. Hehe. 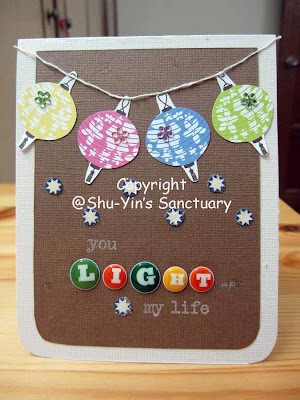 I must say Xing Ying and your cards are really master pieces. 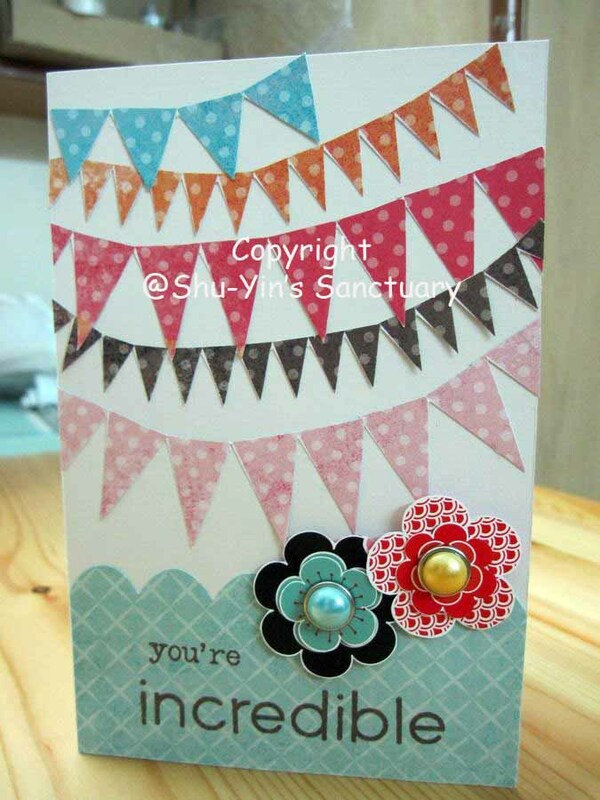 Let's make a card for a new born baby. "50% daddy + 50% mummy = 100% cute"
who has got a newborn baby? 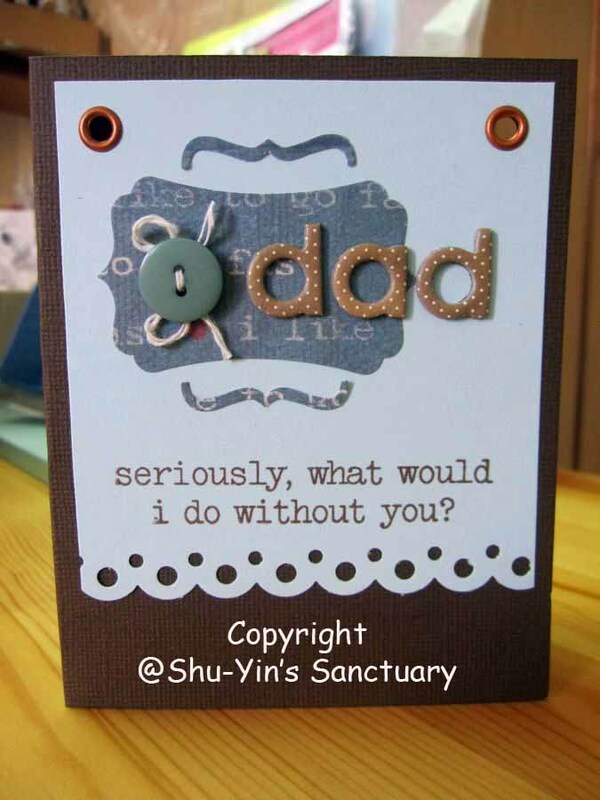 shu-yin, if you're giving the card away, i'd like to get the 'dad' card! or maybe you wanna sell it to me? I just found out about your blog. You make beautiful cards, so crafty. I sew for my little girl. I commented earlier on your AnMum Essential post. Hope you will reply my mail for more info! I Am Back From The States!